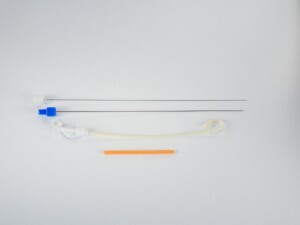 The catheter design for the DexCath-N drainage catheter set will greatly improves the one-step nephrostomy procedures for small animals. 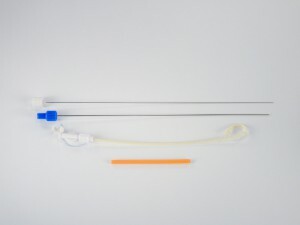 The current design comes in just the right lengths for dogs and cats and has a conical and well dilating tip. A locally applied hydrophilic coating guarantees smooth insertion while the operator keeps a firm handle at the catheter. The pigtail can be secured with the included locking mechanism. Safe drainage is assured with the well sized perforation/ eyes located on the inside of the pigtail radius. 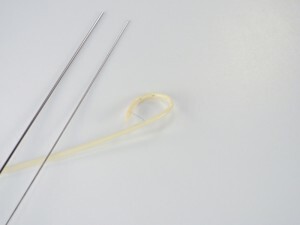 DexCath-N is made of highly elastic non-kinking Polyurethane of great tensile strength. 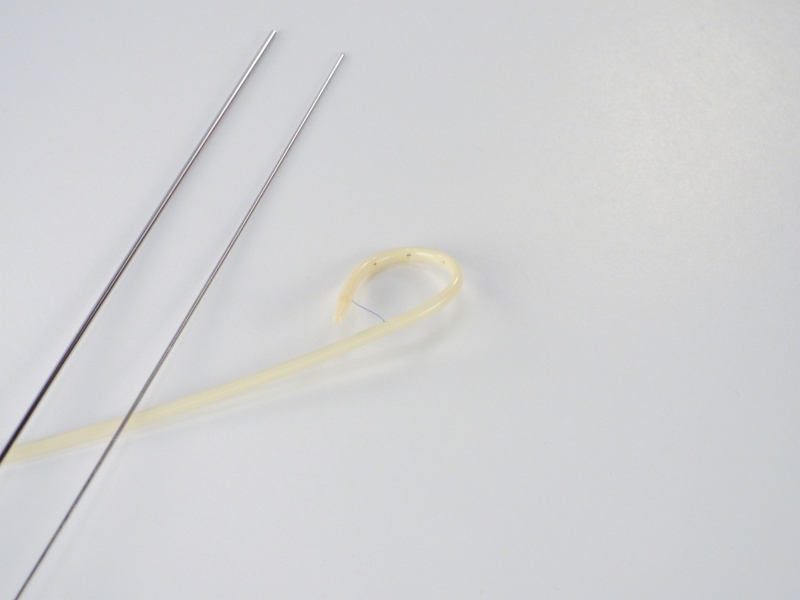 The material is biocompatible, overeral radiopaque and excellent in long-term usage. 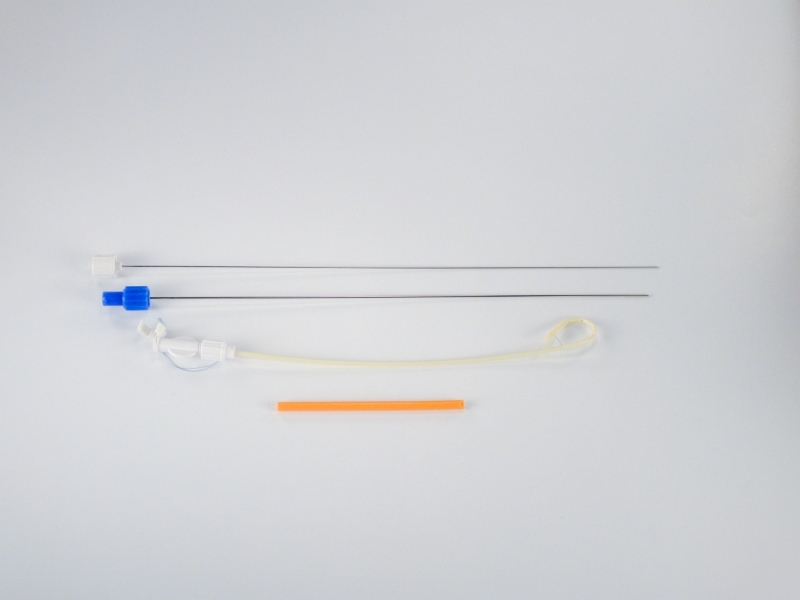 Each DexCath-N set contains the pigtail catheter with straightener, locking mechanism, puncture needle and stylet. Supplied sterile.